INFINITE DREAMS Games Forum - View topic - Your ideas for the iQuarium update! Your ideas for the iQuarium update! We are looking forward to your new ideas for an iQuarium's update! Yes, that's truth . We are already working hard on a quite big iQuarium update so all your suggestions will be very much appreciated! - adding a "landscape mode"
So if you have any ideas (and big thanks for these already posted!) write them down and we will take them into consideration! Re: Your ideas for the iQuarium update! I spent a lot of time with iQuarium yet and wanted to write you a list of updates and wishes tomorrow. As you already mentioned, landscape is a must have and one of the most important update I would prefer. These are the features I would like to see in iQuarium with the next couple of updates. Hope you like them as well as I do. Landscape is a great option too. I loved the pouring water effect upon starting the app the first time. Could we get other animations as well, perhaps when the fish goes to the top of the tank to feed, we can see the top surface of the iQuarium? So far I love the app. One fish is ok for me. But more interaction with it could be really cool. I would absolutely love to have more than one fish, but I wouldn't want to go overboard, either. I would be happy even if there were a max of two or three fish. Also, the chance to choose a species type maybe? Or even... to add some things like a snail to the tank? I'd love to be able to arrange my unlocked plants, rocks, etc., however and wherever I want. Drag-and-drop could work wonders with it! I like all of these ideas too! I'd like it also to make a difference if I play my iPod songs while having the tank viewable, like having the fish react/appreciate the music I play. I'm not sure how that would work, but maybe if the app senses the iPod is active it increases the points per minute or a bonus point per straight hour. hey, do u guys prefer it more when i post my ideas here in the forum than when i post it on the suggestions page of openfeint? How about adding other little critters to the tank, Shrimp, Tadpoles, Snails so they can play/interact. Add more water sounds or other relaxing sounds which are pickable. I was a little upset when I realized that you had to "unlock" the bubbles sound. Add day time/night time look to the tank depending on what time it really is. 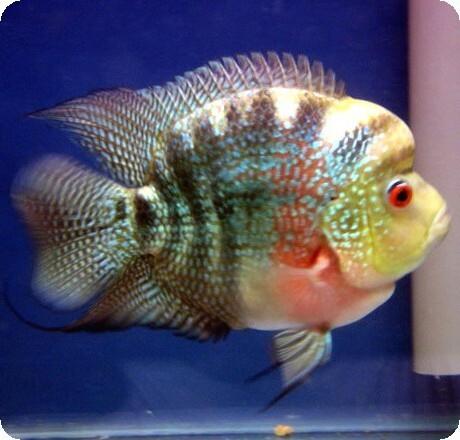 Allow us to choose other fish or critters like a snail or a piranha or catfish-not just gold fish. Allow color changes in the fish. I like the idea of drag and drop/rearrange items. Add more "secret" cool theme worlds like the alien. What about Spongebob world? All in all nice app! Jelly fish are pretty neat. Maybe you could include them as a species selection. Are these suggestions something you're working on with a possible upgrade date? again this could be me but i could swear now after update that when i zoom in to visit with my fish that it's not as big. it's as if the zoom feature got broke partially or something. also the feeding could depicted better. on another app, of course right now i can't think of it's name!, you can see their tiny mouths opening and sucking in a piece of food. this app does nothing near that which is odd because the graphics overall are brilliant compared to anything else out there. i'd say it's better than all of them imho and even better than the pet animals like ipuppy. what about snails? something to keep the tank clean. i mean it's not something you app even addresses but it's something to think about. how about being able to use ipod's own pictures as backdrop? saves you trouble of having to create them. you can still make rock or other 3d elements for updates or point/purchase. i would suggest that you carefully choose what you charge for as some apps have gone in app purchase crazy making them less user friendly and imho causing people to stop using them altogether. i'm not saying do away with in app purchase exactly just be choosy and think of the user who has already bought the app and their expectation of updates to some degree for that buy in price. okay that was a long soapbox rant. oh how about being able to change the fish separately so you can have two different colored fish? okay i know this may sound nerdish but what about fish gear like doggles (sunglasses for dog) ... fishles or a nifty cap or skirt. it's have to be up to your already great ai standard as some apps have this but they look very flat detracting from the experience. oh and i luv!!! the take a pic. feature. i just found that when trying to email you about the zoom issue! might want to mention it more or something. oh and make it so you can take a picture of your fish anytime.. just not when emailing. my fish often goes off screen when feeding? what about making the background more scrollable? like sometimes my fish goes off screen and i can't scroll to find it or just to look around etc. Very cool ideas - keep them coming! We are permanently working on updates so all ideas are always welcome! I really love this game, but I hate how my fish can die. Every time there is a problem with an update or I simply forget to check on my fish it ends up dying and that means starting all over again. It's frustrating and I think it makes people lose interest in the game when this occurs. make it possible to name your second fish! babyb516, in real life if you don't take care of a living pet like a fish it dies, so I think it's a good idea. What would happen if you had a real fish or other animal and you neglected it? A living creature would suffer! I would hate to see this feature go, as it gives the game an element of teaching youngsters about nurture and in households where pets aren't possible it helps people see that if you take on a responsibility, you take on a responsibility and forgetting to feed a pet simply isn't an option. A dog or cat will make their hunger known, but if you owned a real parrot fish, I'm willing to bet it would be dead by now! I have managed to name my second fish - in the box for the name, I put "Shell&Sandy". It would be good to get some more feedback on how the fish is feeling, like if you tap where it's temporarily hiding behind a plant, it could say "fish is annoyed" or something along those lines. Different coloured lights and gravel. I know this is an oldddddddd post I am replying to but I'd like the fish to be able blow bubbles every once in a while. Right now I have 6 fishes. It's possible to have 7 fishes? Nice , now I have 7 fishes. Can I have 10 fishes? Any updat for the game near?